IHT strives to consistently provide the communities it works in with one-day events. The purpose of such events is to essentially inject a sense of urgency within Muslims from all walks of life. We sincerely believe that the teachings of Traditional Islam has the ability to transform the landscape of Islamic education and by extension the lives of every day Muslims. By offering these one-day events and lectures, we are able to engage with those members of society that perhaps otherwise we would not have the opportunity to. 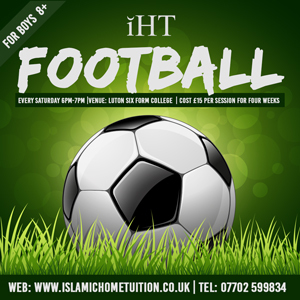 Similar to the courses that IHT offer, the events are also predicated on the idea of presenting Muslims with a variety of subjects to study. 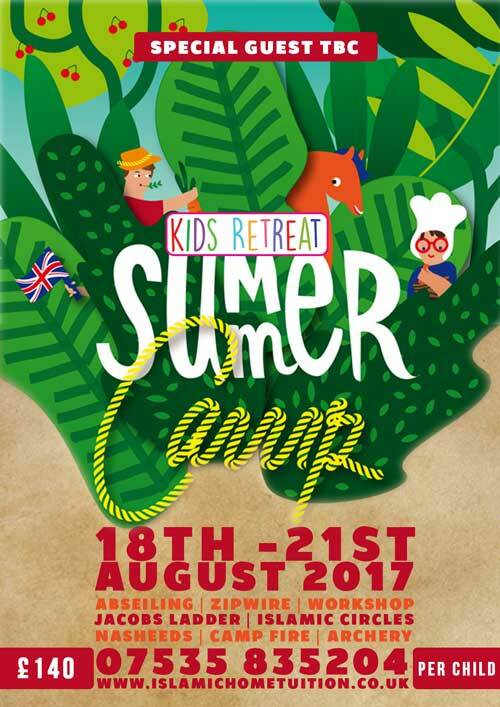 The Kids Retreat seeks to provide children with an exhilarating journey predicated on a plethora of activities and a series of interactive lessons on the religion. Unleash your child's potential with our tailored retreat experience, a blend of experiential outdoor adventure & spiritual enlightenment. ¸ 11 activity sessions, 70 minutes per session. ¸ Expert instruction from our enthusiastic and trained staff. ¸ Accommodation for the Nasheed Night. 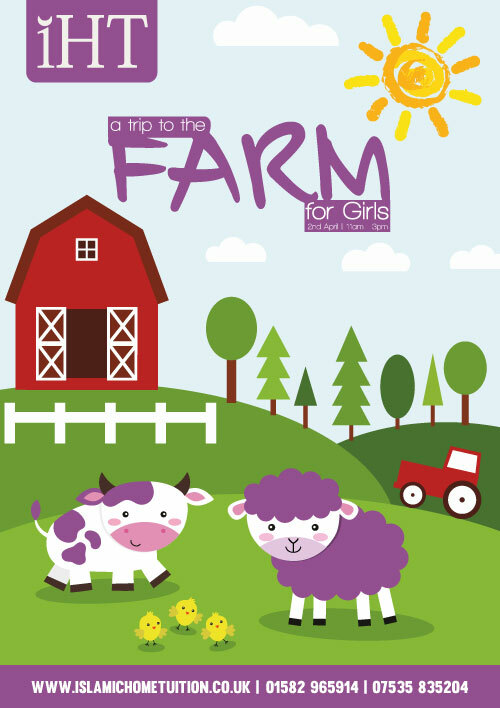 ¸ All bedding included for the accommodation. ¸ Full board with 3 Halal meals a day, ensuring a balanced meal. ¸ Juice breaks throughout the day. Campfire with toasted Halal marshmallows, Seerah Narratives and Nasheeds. The aim of this project is not only to revive this great tradition of story telling, but also to educate and tackle some of the misconceptions about the prophets that the youth face today. The focus will be on those Prophets that are mentioned in all the three Holy books, Quran, Bible and the Torah. 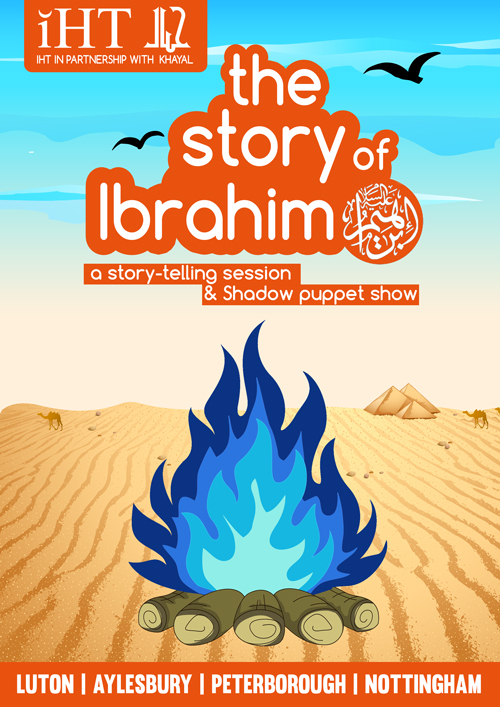 This session is part of a 6 part Prophet Series, and as a treat for the children each session will include an exclusive shadow Puppet show! Yes you read right! 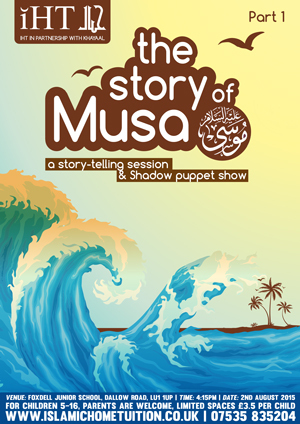 For the first time ever a shadow puppet show based on the lives of the prophets. 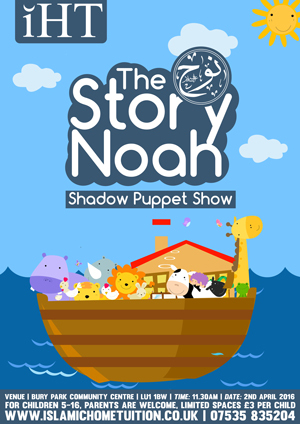 This series will consist of 6 Story-telling sessions and as a treat for the children each session will include an exclusive shadow Puppet show! Yes you read right! 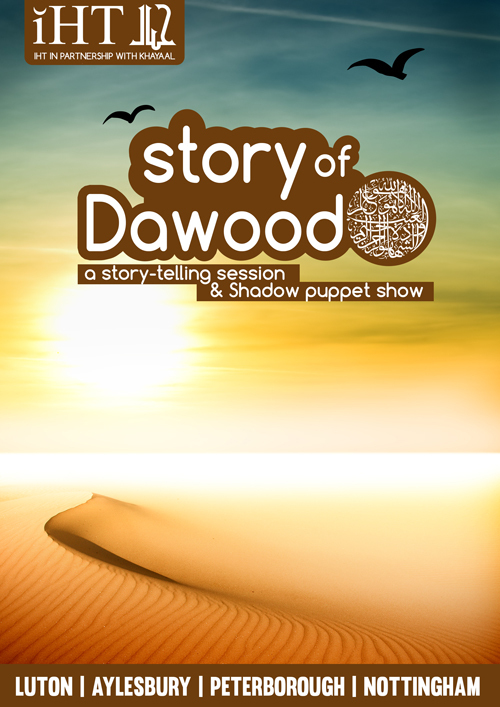 For the first time ever a shadow puppet show based on the lives of the prophets. Islam is a complete way of life and how fortunate we are to have the the Qur'an and Sunnah as our guide. It has been made clear to us which animals we can eat and which animals we cannot eat, Muslims are very familiar with this. But what about what Islam has taught us in regards to treatment of animals? Will we be accountable for harsh treatment towards animals? We have hadith that inform us about people who were forgiven for showing mercy to a thirsty dog. We also have hadith informing us about a woman going to hellfire for cruelty towards her cat! Even though many things are halal for us to eat, how do we be selective in our diets to ensure we are fulfilling the obligation of looking after our body? 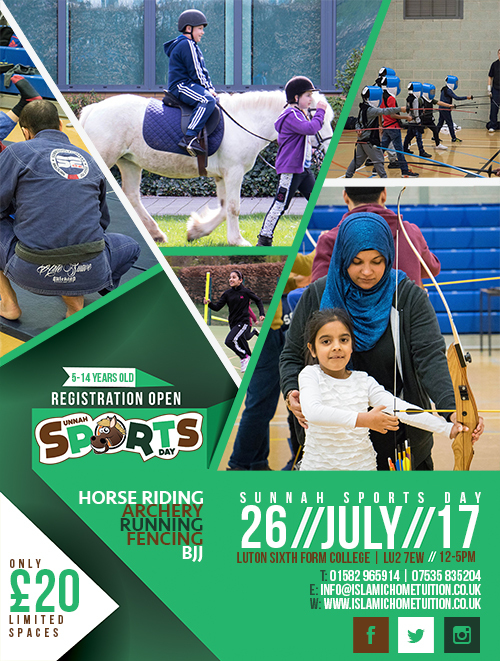 IHT is honoured to present this years Camp Ramadhan for the forth consecutive year, by the Grace of Allah, the Munificient. This initiative strives to grant children the opportunity to learn, enjoy and shine through engaging with the religion in a creative manner. Camp Hajj is an innovative, refreshing project that seeks to inject energy into the hearts of our children. Exciting activities, united with a thoughtful learning approach will undoubtedly give children the best experience possible. 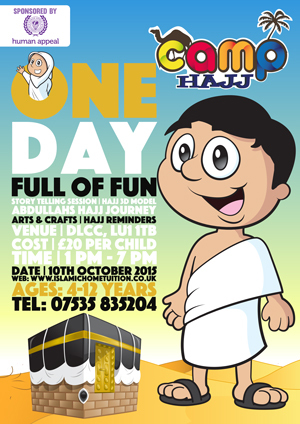 We have purposefully designed this initiative in a way where children can truly be themselves whilst becoming informed about the significance of Hajj. 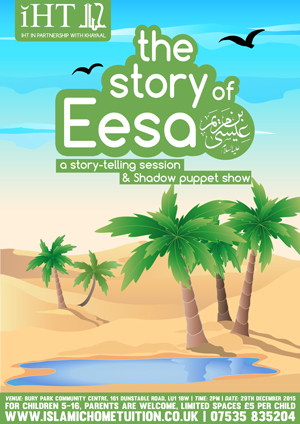 A narrative of the Nativity and the life and mission of Prophet Eesa (a) as recounted by the Qur’an and secondary Islamic sources will be presented in a live dramatic storytelling session. This will be reinforced with an entertaining and informative shadow puppet show. Don’t miss this opportunity to revel in the story of the third most mentioned prophet in the Qur’an. 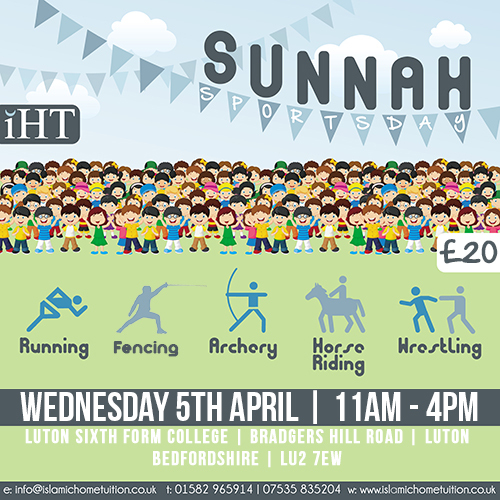 Sunnah Sportsday is a new IHT initiative seeking to revive some of the sports and physical exercises that the Messenger of Allah, abundant peace and blessings be upon him, was involved in. 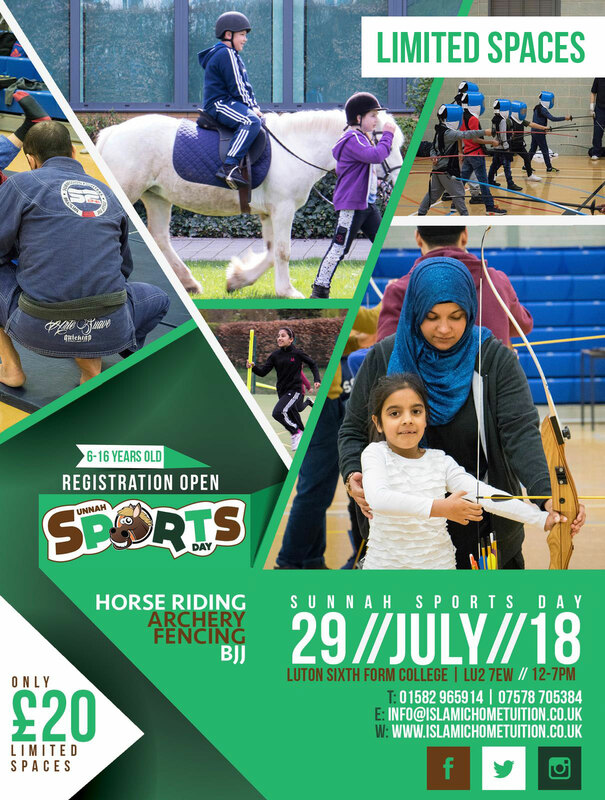 The objective of this project is to allow children to physically exert themselves in the various activities that have been arranged whilst simultaneously learning about the the noble ways of the Messenger of Allah, abundant peace and blessings be upon him. 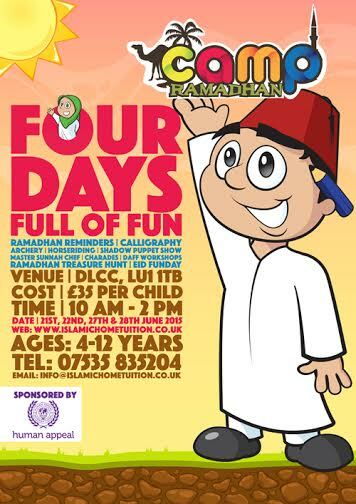 The Cost of the Sessions will be £15 per child for 4 weeks. 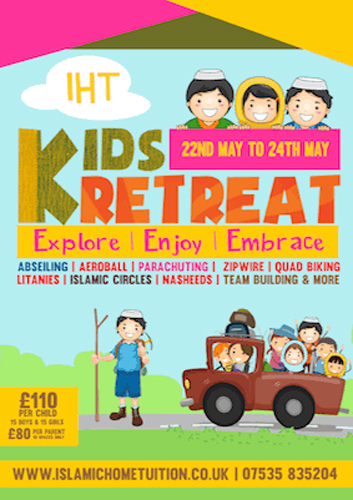 The Kids Retreat seeks to provide children with an exhilarating journey based on a range of activities and a series of interactive lessons on the religion. Unleash your child's potential with our tailored retreat; a blend of experiential outdoor adventure & spiritual enlightenment. ¸ 18 activity sessions, 70 minutes per session. 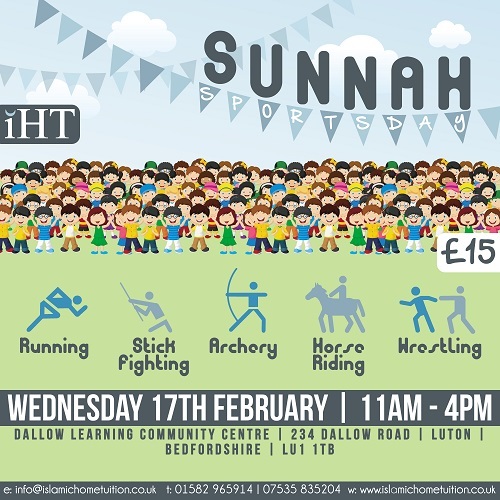 Sunnah Sportsday is an IHT initiative seeking to revive some of the sports and physical exercises that the Messenger of Allah, abundant peace and blessings be upon him, was involved in. 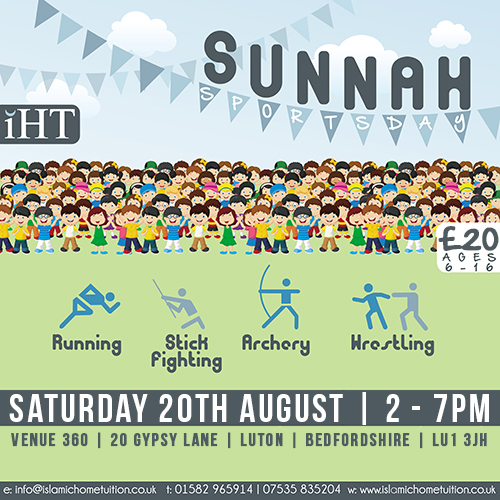 The objective of this project is to allow children to physically exert themselves in the various activities that have been arranged whilst simultaneously learning about the the noble ways of the Messenger of Allah, abundant peace and blessings be upon him.